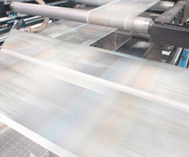 Our management team has over 100 years of experience in the printing industry and servicing newspaper clients. Feel free to contact any of them at any time to get a better understanding of our experience and our capabilities. The BH Media Group Publishing Solutions Prepress Support team is the front line support for new customers. We help verify setup and templates are correct for printing and distribution for all sites. We also can help our customers with our commercial page approval system.